Can you Sell an Inherited House Before Probate in Chester, Montgomery, Berks and Lancaster Counties? Find out whether you can or can't sell an inherited house before probate is finalized in Pennsylvania. 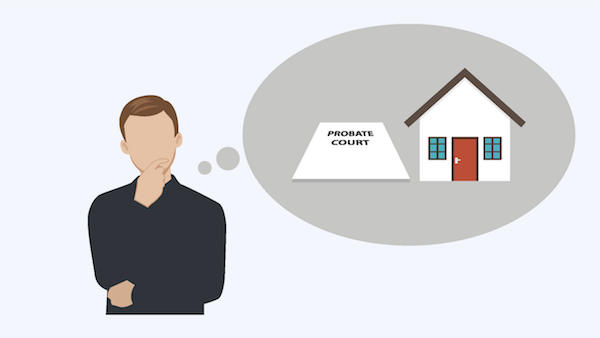 Many residents of Chester, Montgomery, Berks and Lancaster Counties, and the entire State of Pennsylvania for that matter, find themselves looking for information about how to sell an inherited house before probate. This is either because they have inherited a house through a will or have been named as executor in this document. Luckily, in Pennsylvania there are some controlled exceptions to this. There is an alternative to go through the standard probate procedure. This is using a process called "Muniment of Title". This is applicable when a will was left but there were no debts secured by real property. This alternative process is done by validating the will in a local county court. Once this court has approved the validation, property titles can be transferred to the beneficiaries. There is also an alternative that should be looked at in Pennsylvania (Disclaimer: check with a local attorney to see if this is applicable to Pennsylvania). This is for those who are looking at selling a house before probate. This is called Affidavit of Heirship. This can be utilized if the property in the estate only amounted to real property, i.e., a house or houses. This answers the question can you sell a house before probate is granted. It also shows that when it comes to Pennsylvania like the other states there are specific rules that must be followed. Pennsylvania for example, is considered to have easier rules to adhere to when it comes to probating. In Pennsylvania, the will can direct the executor to go after independent administration. This makes the process much easier. It gives more freedom to the executor outside of the control of the court. If this is granted the executor does not have to ask permission from the court to sell the house named in the will. LaPlace Transforms, LLC gives you a cash offer within one day and you can close whenever works best for you. You can have your Chester, Montgomery, Berks and Lancaster Counties house sold in a week! If you need to sell your Chester, Montgomery, Berks and Lancaster Counties area house fast and would like to get a no-obligation cash offer, call us now at 610-601-5855. Whether you decide to sell your house to us or not, we would like to help answer questions you might have about the process. Lucky for you, we buy houses in Chester, Montgomery, Berks and Lancaster Counties. Give us a call at 610-601-5855 or fill out the form below to get started. We look forward to talking with you. Can you sell an inherited house before probate is finalized in Chester, Montgomery, Berks and Lancaster Counties?